In today’s date “Malaysia Business” has been considered as a vital topic to look into for many business owners around the world. Due to the variety of business opportunities and their immense positive outcomes, Malaysia Business has eventually dragged in the interest of many business investors to invest in Malaysia both large and small scale within the country. The country and its government are trying their best to make their business sectors more lucrative, profitable, reliable and easy to begin for these foreign investors who come up with a vision of doing business in Malaysia. Malaysia, a country with opportunities and promises for those who can dream. The country is considered to be one of the prime developing countries among all other Asian countries in the globe. The country has developed itself in every possible sector it can. The economic growth of the country in the past few decades is considered to be highly appreciated and is kept constant for a longer period of time. The variety of business opportunities plus the high growth of foreign manpower along with their investments in both small and large scale is eventually enhancing the economic scale of the country. Gas, It, Oil, Construction and few others are said to be the prime sectors for investments in Malaysia Business. Although there are many other business sectors related to garments, education centers, restaurants, hotels, jewelry, shopping malls, personal business, hardware sectors etc where the foreign investors can invest in to make a good profit. Restaurants, Food Courts and Hotel business are given high priority when it comes up to Malaysia Business due to a large number of tourists visit the country every year from all over the world. Well, it is not always easy to start off up a new business for anyone in any foreign location. One should have a clear vision about their business plan, the country in which they intend to do business in and the investment scales must be taken in high consideration. For business investors all over the world, Malaysia or Malaysia Business is said to be the most perfect choice of all because of three major facts. They are DEVELOPED INFRASTRUCTURE, REASONABLE COSTING & HUGE MARKET POTENTIALS. The business investors are always suggested to gain as much as the knowledge they can over the country and it’s different business sectors in which they plan to do business in. Valid and vivid knowledge about Malaysia and Malaysia Business will surly lead these foreign investors to success, as they come investing a good sum of fortune within the country to live up to their desired dream. Often wrong steps regarding company registration, business plans, licensing issues, less investigation of the market and customers lead these foreign investors and their family future to a dreadful situation. 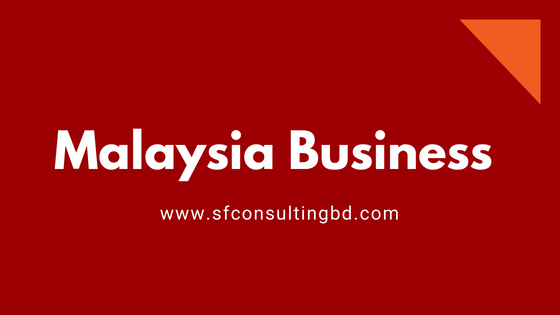 This article will outlet few steps and conditions that must be taken in account by the foreign investors with a dream of starting a business in Malaysia. Before a business will wrongfully begin in operation, businesses square measure needed to adjust to some type of licensing, that might be a general license, Associate in Nursing industry/sector specific license or activity specific license. Business licenses square measure needed by the legislation and administered by numerous government agencies, statutory bodies and native authorities. Business licenses includes registrations, approvals, licenses and permits. The compliance necessities vary by trade, enterprise and site. General licenses square measure licenses that square measure needed and shall be applicable once the capitalist has set to start out a business in Malaysia. Businesses in Malaysia square measure needed to use for business premise licenses and construction licenses from the various State Authorities. the wants for the appliance might vary in line with every government agency. Sector/Industry Specific licenses square measure licenses distinctive to a selected trade or sector that square measure such that by the govt. This involves major policies that controlled the event of bound industries or sectors in line with the event policy of the country. Activity specific licensing square measure licenses that regulate explicit activity and will be applicable to 1 or additional Industries or Sectors. This class of license needs capitalist to adjust to sets of specific tips designed to guard the interest of the subject, employment, safety of staff, surroundings and general public. The higher than data could be a general guide towards creating the initial steps, call and designing for the meant business by potential investors and business homeowners. Registrar of companies Mauritius: We area unit ready to conduct comprehensive company searches in Mauritius, providing copies of all info persisted the takeover target at the Registrar of firms. we provide an organization documents service that provides register copies of official company documents, however, mercantile law during this jurisdiction solely permits company documents to be obtained for domestic and public registered firms. Mauritius company’s area unit ruled by the businesses Act, 2001 and controlled by the Mauritius money Services Commission. The Mauritius firms Act two001 provides confidentiality regarding all matters in reference to firms holding a class one international Business License or a class 2 international Business License. Therefore, the data enclosed in an exceedingly Mauritius company search is proscribed. The Corporate and Business Registration Department could be a section, that comes beneath the Ministry of Finance and Economic Development. It administers the businesses Act 2001, the Business Registration Act 2002, the financial condition Act 2009, The restricted Partnerships Act 2011 and also the Foundations Act 2012. We can give an organization Search report with the newest filed info from the Mauritius Registrar of firms (ROC), together with the status of the corporate, company registration details and also the current registered workplace address. In Mauritius details of administrators and shareholdings of personal firms area unit confidential not divulged to 3rd parties while not consent. the data is command by the Mauritius, Registrar of firms and also the Mauritius Registered Agent. Companies holding a class two international Business License area unit needed to take care of money statements to replicate their money position however, aren’t needed to file accounts with the Mauritius Registrar of firms. an organization with a world Business License conducts business outside of Mauritius. A resident Mauritius corporation that conducts business outside of Mauritius might apply to the money Services Commission for a class one international Business License. We area unit ready to offer register copies of official company documents, appreciate the Certificate of excellent Standing and also the note and Articles of Association. These documents area unit issued by the Registrar of firms and area unit usually needed once closing business contracts, handling official governing bodies and once handling money establishments. thanks to mercantile law in Mauritius company documents area unit solely provided for domestic and public registered firms during this jurisdiction. With a world Business class two company the request for copies of documents is created solely to the registered agent, director or stockholder of the Mauritius company. Please complete our enquiry type, therefore we will assist along with your company documents needs. Berhad, that is commonly abbreviated BHD, may be a suffix employed in Malaysia to identify a public limited company. Berhad, BHD when a company’s name indicates that it’s a Malaysian public limited company, whereas the suffix Sendirian Berhad or SDN BHD denotes that it’s a personal limited company. Both BHD and SDN BHD firms square measure classified as people who issue shares, that is that the commonest variety of business entity in malaysia. Such corporations have a restricted variety of shares, and also the liability of their shareholders is restricted to the quantity fixed on their unpaid shares. alternative sorts of firms in Malaysia square measure firms restricted by guarantees (such as non-profit organizations and public societies) and unlimited firms. A BHD company should have a minimum of 2 shareholders whereas the most variety is unlimited; an SDN BHD company will have 2 to fifty shareholders. SDN BHD firms square measure usually tiny or mid-sized enterprises, whereas BHD firms square measure the biggest firms in Malaysia. BHD firms have stricter money coverage standards than SDN BHD firms as a result of they need to disclose their money statements to the general public. BHD corporations/company have bigger access to capital than SDN BHD company as a result of they will access public equity and debt funding after they need funding. While the method of incorporation for each sorts of firms is considerably similar, an SDN BHD company has some tight stipulations in its Articles of Association. These embody restrictions on transfers of the company’s shares, a most of fifty shareholders, a prohibition on public subscription to the company’s shares or debentures and prohibition on aggregation public deposits. though most BHD firms list their shares and trade on a securities market, this can be not a compulsory demand. A BHD company will value more highly to keep unlisted. Tunisia is a country in Northern Africa, that borders the Mediterranean sea and is located between Algeria and Libya. Tunisia contains a numerous, market-oriented economy, with vital agricultural, mining, tourism, and producing sectors. Key exports embody textiles and attire, food product, crude product, chemicals, and phosphates, with concerning eightieth getting to the ECU Union. Tunisia contains a stable government, dominated by constant elite since independence and it’s relative banking secrecy. we are able to assist you in Company registration Tunisia. Setting up a liability Company (SARL) – what is the process of Starting a business in Tunisia? The incorporation procedures square measure easier than for a Public Ld.. Setting up a Public Ld. (SA) – what square measure the features? Setting up a Tunisian Branch – what square measure the most features? One of the tiniest countries in the geographical area, Tunisia boasts of being one in every of the foremost heterogeneous economies of the geographical area stretch. The business-friendly government of Tunisia has developed several policies in Tunisia, that has LED to the expansion of the many sectors like a business enterprise, producing and agriculture. It’s necessary to induce yourself registered to run your business with none legal drawback. India may be a land of chance, regardless of within which field your business is working the probabilities of obtaining success is incredibly high, thus it simply desires a begin. beginning associate entrepreneurship in India would fetch your excellent success. we tend to assure a sleek method if you follow this step by step orient how to register a company in India. Here is that the procedure and documents needed for registration of private limited company. It usually takes 15-20 days to register a private limited company we tend to assist you in filing all the forms and drafting MOA/AOA and alternative documents (INC eight, nine 10) need for Company registration in India. Starting a business within the UAE mustn’t take you over a week once you have sorted all of your legal procedures. Company registration in Dubai procedures is same. Your variety of business can verify the type of license you need. whether or not it’s industrial, skilled or industrial licenses, these can outline the idea of your operations. However, whereas choosing, bear in mind that sure activities equivalent to food mercantilism, jewelry trade, veterinary activities and legal practice need any approvals from alternative governmental departments. The Department of Economic Development (DED) in Dubai incorporates a list of over 2100 activities you’ll be able to make a choice from. If you are unable to seek out your specific one in there, you’ll be able to contact the EdD. every country has its own laws and approval formalities. As a remote national, if you would like a hundred per cent possession of your company, you wish to choose a license and site in one among the numerous free zones of the UAE. There ar specific varieties of activities that every country caters to and clarity within the beginning can assist you realize your best choice. If you wish an area license or got to operate regionally, you have got to induce a license from the Department of Economic Development (DED). The EdD license comes with sure restrictions on share of possession for foreigners. Depending on your location and kind of business, there ar rules concerning the make-up of your firm. let’s say, if you intend on a legal practice firm, this may be done solely as a branch of company or as a complete company. A sole man of affairs isn’t allowed to require up this activity. every country has its own restrictions concerning company structure and you’ll be able to look these au courants the official web site of the zone. Minimum share capital is typically taken off within the memo of Association of your projected company. In most cases, you are doing not got to pay minimum capital at the time of putting in place. Once you have got your legal procedures and forms able to go, it’d be best to grade some offices with prices and alternative details. this may mean a transparent path forward once you get your legal formalities out of the means. In free zones, you may get help to seek out premises appropriate to your demand alongside facilitate to line up electrode, internet, water and alternative amenities. In most legal sorts of the EdD, you wish to rent a manager to superintend operations and have him able to get on board before your registration is approved. however, in alternative cases, you’ll not be allowed to rent in any respect. let’s say, Intelex license holders (license for home-based Emirati business owners) aren’t allowed to rent workers, however will interact contractors. Details are often seen here. at no cost zones, every zone has its own specific laws concerning the structure of business. For EdD licenses, it’s obligatory to own an area agent, partner or sponsor and this can be an excellent support for foreign nationals. at no cost zones, having an area contact will facilitate take the business forward effectively. However, this can be not obligatory and Dubai as a business destination boasts simple set-up for all businessmen no matter position. Mauritius may be a premier international business centre settled within the ocean. Over the past twenty years Mauritius has enjoyed unprecedented growth and socio-economic development and has emerged as a political stable democracy that welcomes foreign investors and businesses. The Mauritian Government actively encourages foreign investment and offshore activity through the Board of Investment. the govt. introduced wide move incentives to draw in foreign investment and consolidation of the legal and monetary framework has resulted in trendy, easy legislation that has contributed to the increase of Mauritius as a serious offshore money service centre. The government’s development strategy centres on foreign investment and thanks to this Mauritius has attracted thousands of offshore entities. The quality of Mauritius for offshore investments has been solid by adherence to the new international needs involving combating money coercion and concealment. This has expedited Mauritius to get pleasure from a name as a trustworthy, well regulated offshore centre with secured confidentiality. Company registration in Mauritius may be a straightforward, simple method in spite of whether or not you select a GBC1 Company (a Resident Company) or a GBC2 (an Offshore Company). If properly structured a Mauritius Company is Associate in Nursing economical, low-cost, wrongfully tax economical entity during which to conduct business. There ar variety of advantages connected to incorporating a GBC1 and GBC2 company in Mauritius. GCB1 corporations ar treated as tax resident and ar at risk of pay taxes on their earnings but attributable to this they’re conjointly entitled to the advantages of the in depth Mauritian Double Tax Treaties. A GBC1 could also be a domestically incorporated company or could also be a branch of a distant company. Business should be conducted in a very foreign currency and can’t interact in business in Mauritius. Requires a minimum of 1 Director UN agency should be a natural person (Eltoma will offer politician Directors). A minimum of 1 shareowner is needed UN agency is of any position and want not be resident in Mauritius. company Shareholders ar permissible. 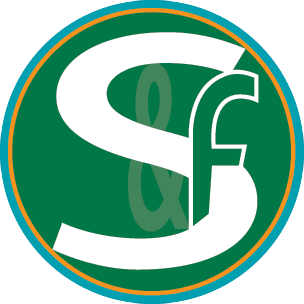 A resident Company Secretary is needed (Eltoma will offer this). GBC1 corporations ar considered being resident thus ar ready to benefit of the Mauritian Double Tax Treaties. The tax accord is especially favourable with Bharat|Bharat|Asian country|Asian nation} and Mauritius has become a preferred location for holding corporations for those commerce or investment in India. GBC1 corporations will utilize the unilateral foreign diminution that stands at eightieth of the Mauritian rate, that leaves a residual liability of two hundredth of the Mauritian rate that is up to third. There ar current discussions on doable any reductions on this rate. No Capital Gains or withholding taxes levied. No limit on the carrying forward of tax losses. No withholding on dividends, interest, royalties and payment of redemption takings. Entitled to underlying tax credits on dividends if property in Investee Company is larger than five-hitter. Interest received on deposits in Mauritian bank accounts ar tax exempt. Inheritance tax, gift and estate taxes aren’t applicable. No stamp duties, registrar duties or levies. A branch of a distant company may have access to the tax accord network on condition that the native authorities ar glad that effective management and management of the foreign branch is in Mauritius. GBC2 corporations ar personal entities that conduct business outside Mauritius, a GBC2 Company isn’t allowed to conduct business in Mauritius. A GBC2 could also be a domestically incorporated company or registered as a branch of a distant company. Confidentiality may be a major profit to a GBC2 and therefore the identiy of the helpful owner will stay for the most part confidential. A GBC2 may be a smart structure for holding and managing personal assets. High degree of privacy protection (through the utilization of politician administrators and shareholders). Mauritius company formation permits 100% foreign possession that means no native politician is needed. Only one Director and one shareowner needed. Legal tax exemption for GBC2 corporations however no access to the Mauritian Double Taxation accord allowed. No accounting or reportage needs that minimise maintenance prices. GBC2 company enjoys indebtedness with none paid up capital (there is not any minimum capital required). No stamp tax on transfer of shares. Migration from a distant company to/from Mauritius is permissible. Shareholders and administrators will meet anyplace. Registered workplace and agent in Mauritius is needed. Conversion to GBC1 is permissible. From importation the newest fashions to commercialism home fixtures, the international trade business can take you everywhere Asia and into all product niches. International trade is one in every of the most popular industries of the new millennium. With a staggering list of products that you simply may ne’er imagine as international merchandises, the business could be a prey for the savvy traders. they’ll have these products bought, sold, portrayed and distributed somewhere targeting the Asian markets on a commonplace. The program of association integration presents on open door to a young and untapped market of 630 million population. starting associate import and export business in Malaysia becomes lots of and lots of rewarding, every in terms of profit and tax efficiency with Labuan low tax structure of alone third financial gain or pay RM20,000 flat fee. it is a massive market and most of the market are still underdeveloped, the multitude of opportunities trying ahead to you! The process of Company registration Malaysia, determine more! Changing into associate export management company (EMC): Some EMC handles export operations for a domestic company that needs to sell its product overseas but doesn’t skills. The EMC can it all by hiring dealers, distributors and representatives; handling advertising, promoting and promotions; overseeing promoting and packaging or re-packaging, composing shipping, and customarily composing finance. EMC might have its own whole of merchandises to sell and search out the right shoppers. Changing into AN export commerce company (ETC): AN ETC identifies what foreign consumers need to pay their cash on and supply the proper domestic suppliers UN agency ar willing to export. AN ETC generally takes the title to the products and generally works on a commission basis. Changing into AN import/export merchant: This international businessperson is sometimes a free agent, has no specific shopper base, and doesn’t specialise in anybody business or line of product. Instead, he purchases product directly from a domestic or foreign manufacturer so packs, ships and resells the products on his own. He assumes all the risks similarly as all the profits. Changing into a manufacturer’s representative: a salesman UN agency focuses on a kind of product or line of complementary products; for instance, home electronics: televisions, radios, CD players and sound systems. He usually provides further product help, like reposition and technical services. Changing into a distributor or wholesaler: a corporation that buys the merchandise you’ve foreign and sells it to a merchant or alternative agent for additional distribution till it gets to the tip user. Changing into a representative: a savvy employee UN agency pitches your product to wholesale or retail consumers, then passes the sale on to you; differs from a manufacturer’s representative in this he doesn’t essentially specialise in a selected product or cluster of product.